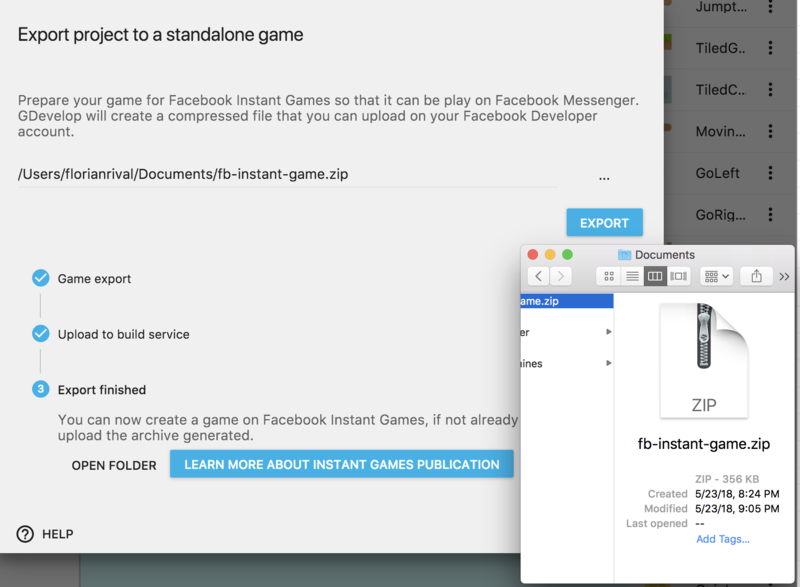 Facebook Instant games are games that you can play with your friends on Facebook Messenger. Fill in all the required fields. You can also upload the icons and enter other details of your game on this page. 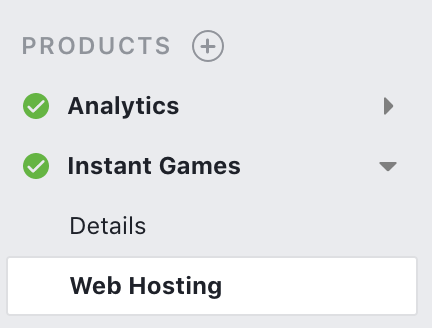 Choose Instant Games. Your app is now ready to have the game uploaded! Click on Upload Version button on the right and choose the file that was created by GDevelop. When the upload is done, waiting a few seconds for Facebook to process your game. It's important to do this even if you don't want to publish the game yet! If you don't have a version marked with the star as ready for production, you won't be able to test your game. Click then on Add testers button and add your friends/coworkers. Your game is starting! 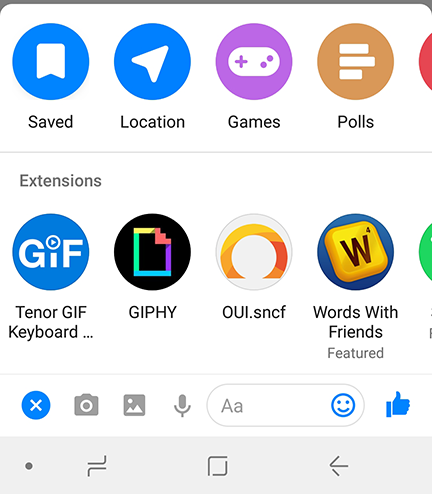 If for some reason you can't see your game, make sure that you've properly filled the information and sent the zip file on Facebook Developers. Make sure that the phone you're using is connected with your Facebook account or the one of a tester. Send new versions of your game until you're happy with it. Make sure to fill all the information and to add high quality images. Once you're ready, click on the Review menu to send your game to be reviewed by Facebook. 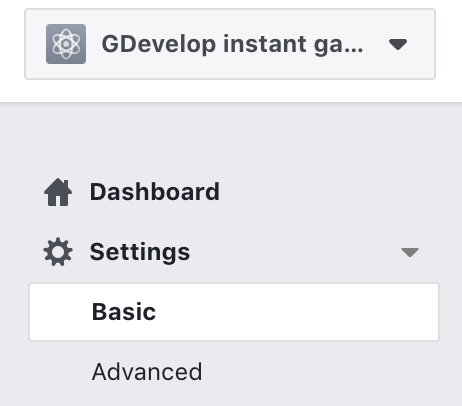 Read this launch checklist from Facebook and make sure that you've followed every guideline to maximize your chances of seeing your game being approved. You can monetize your Instant Game by showing ads to the player. Click here to see how to do.